Organic farming is not a new form of agriculture to the farmers in the Northern Province of Sri Lanka. Since the very early times in the history of farming in the Northern Province, particularly in the Jaffna Peninsula, organic farming had been the method of crop production. The farmers had perfected techniques of using cattle manure, green manure and farm wastes to fertilize crop lands and obtained modest yields. During the conflict period, agricultural intensity decreased and in some areas in the peninsula, farming activities came to a grinding halt. Since the cessation of hostilities in 2009, farming activities have resumed and it is expected that it will continue to expand and may reach the pre-conflict levels in the near future. Learning from the mistakes of the past, we should avoid indiscriminate use of fertilizers and pesticides and pollute our water resources, when we rebuild the agricultural sector in the Northern Province. Organic farming is one way, by which we could maintain the health of our natural resources. The Sewalanka Foundation, a leading NGO in Sri Lanka, and a partner of ISLF, is promoting organic farming in the Northern Province of Sri Lanka. In order to achieve this objective the Sewalanka Foundation has established a demonstration farm at Neerveli in the Jaffna District. The model organic farm at Neerveli will serve as “teaching laboratory” to provide training, demonstration, seminars and workshops to farmers as well as extension officers on modern techniques in organic farming. The ultimate objective is to promote organic farming among farming communities in the Jaffna Peninsula and elsewhere in the Northern Province. Sewalanka Foundation has set an initial target of 100 families to be trained in organic farming. 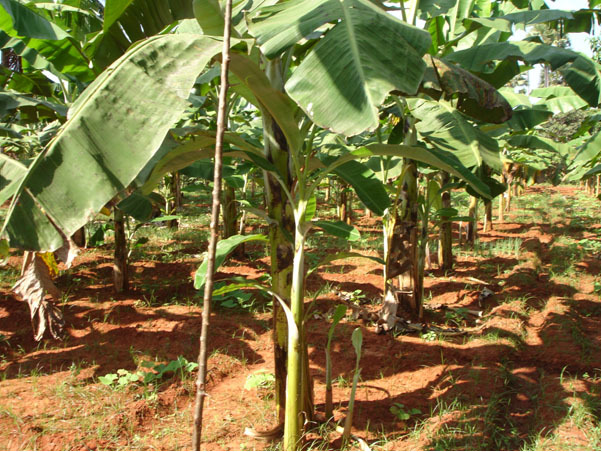 The model farm at Neerveli will demonstrate organic farming practices applied to a variety of crops such as bananas, pepper, turmeric, and an assortment of vegetable crops. It will also demonstrate the technique of vermicomposting. Vermicompost is the product or process of composting utilizing various species of worms, usually earthworms to create a heterogeneous mixture of decomposing vegetable or food waste, bedding materials, and vermicast. Vermicast, similarly known as worm castings, worm humus or worm manure, is the end-product of the breakdown of organic matter by a species of earthworm. Containing water-soluble nutrients, vermicompost is an excellent, nutrient-rich organic fertilizer and soil conditioner. The process of producing vermicompost is called vermicomposting. ISLF is planning to join the Sewalanka’s project in Neerveli to promote organic farming to the farmers in the Jaffna Peninsula and other parts in Northern Province of Sri Lanka. Download Full Document of "Promoting Organic Farming in Northern Sri Lanka"